Our office strives to provide our customers with the most efficient and professional service in the Kandiyohi County area. We take the time to complete a personalized comprehensive review of our policyholders Insurance needs. 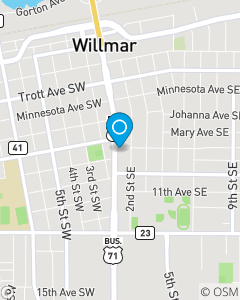 We want to be the first and preferred choice for all of our customers Insurance needs Willmar, MN. We focus on Auto, Home, Business and Life Insurance. We are here to help life go right. Our experienced team members are here to assist you with your insurance needs!